Timothy F. Geithner, the 42-year-old head of policy development at the International Monetary Fund, has had plenty of experience dealing with international financial crises.As under secretary of the treasury for international affairs in the Clinton administration, he helped handle a series of crises in emerging markets from South Korea to Brazil.When Geithner takes over as president and CEO of the Federal Reserve Bank of New York in mid-November, he will become the point man for the next major crisis to hit the financial markets. The next trouble spot may be a lot closer to home, though.And with a potential dollar crisis brewing as a result of the growing US current account deficit, foreign exchange market participants are relieved to have somebody they know and who understands their market filling the second most powerful position at the Fed.The hope is that Geithner will use his new post to counter some of the dollar-bashing rhetoric emanating from the White House and the treasury in the run-up to the 2004 US presidential election. 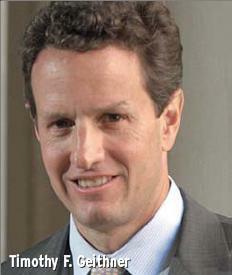 Geithner is replacing William McDonough, who stepped down as New York Fed president in June to become chairman of the Public Company Accounting Oversight Board. 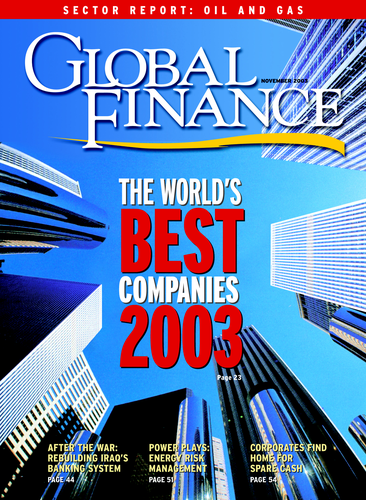 McDonough is perhaps best known for helping to organize the bailout of Long-Term Capital Management in 1998. Having worked closely with former treasury secretaries Robert Rubin and Lawrence Lindsay, Geithner is assumed to agree with their credo that a strong dollar is in the best interests of the US. If he can convince foreign investors in US securities that someone is looking out for the greenback, Geithner could help to deflect a crisis he otherwise may be called upon to straighten out.